This week I have been out on site installing temperature sensors in building foundations which will be used as “energy piles” as part of a ground source heat pump system. Although an increasing number of successful test and operational energy piles schemes have now been completed, there are still very few case studies where the long term performance of energy pile schemes has been systematically monitored. This is something I have been working on over the last few years and this project will be my second instrumented site, but I don’t expect to see any performance results for some time yet. As the piled foundations are the first part of a building to be constructed it will be many months before the whole structure is completed and the new occupants are inside and using the heating and cooling system. Still we have to start somewhere! 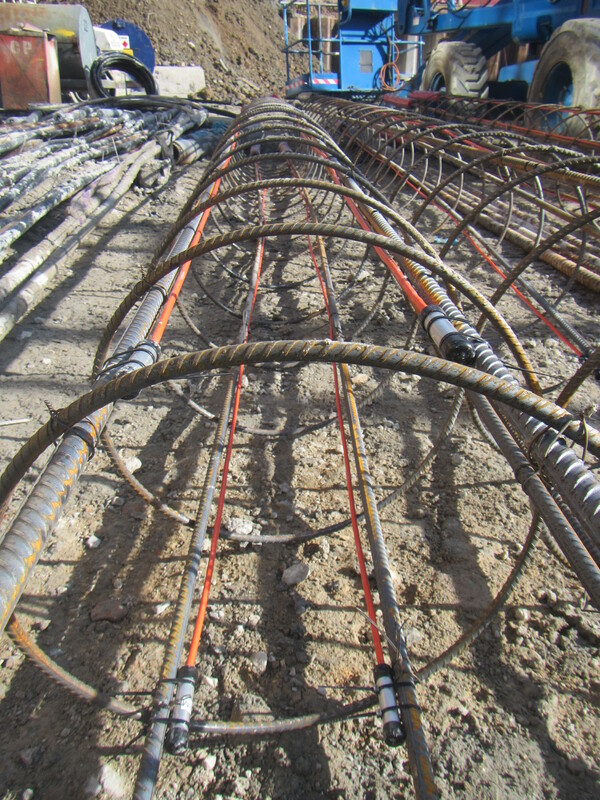 An instrumented steel reinforcement cage ready to be installed in the pile bore. 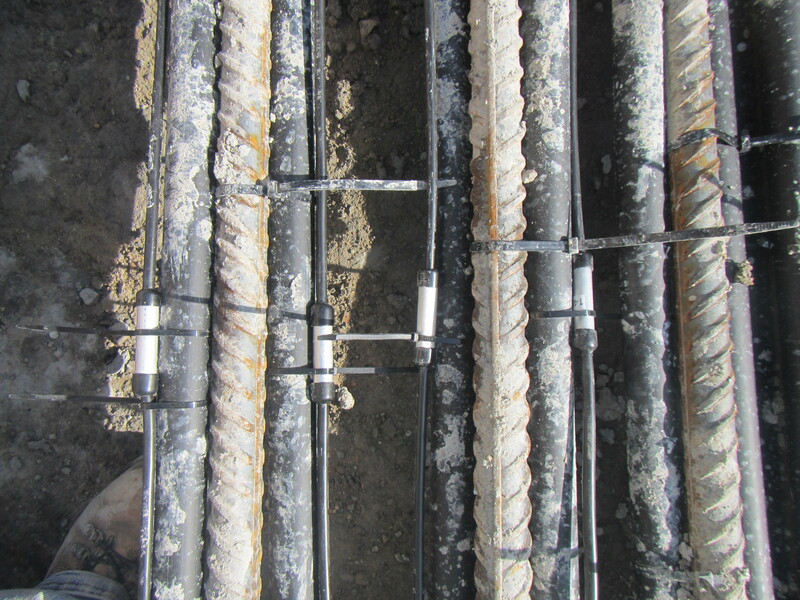 In this case the heat transfer pipes were being installed separately within the centre of the pile, and were also fixed with temperature sensors.